Does Travelling leave your Skin unattended? Recently, I visited VLCC centre for my skin issues. As oily skin leads to an acne-prone skin too, also I had a lot of Tan from my recent travel. 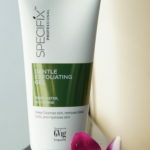 On visiting I learnt, Specifix Professional in collaboration with GVig Singapore has launched a few solutions especially for Oily skin for our daily and weekly routine. 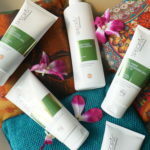 It acts like a cleanup kit for a Clean & Purified Skin. Cosmetologist, Ms Sheetal Sharda did the process for me and gave me information about the products and their application. 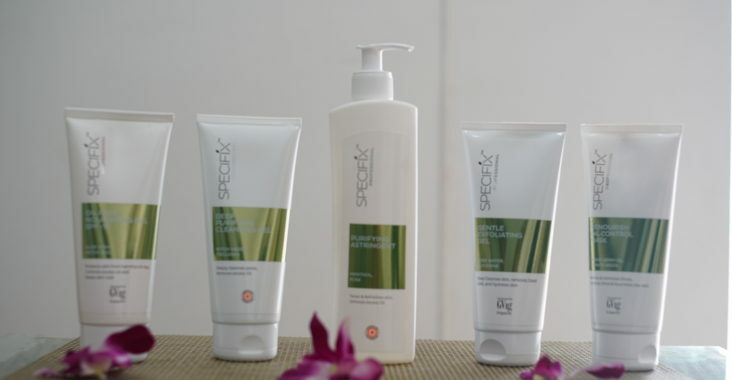 The products are user-friendly and natural. They do not harm our skin, helps internally too. These are Unisex products, so anyone with oily skin can use them. 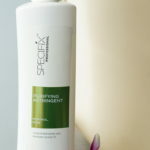 CLEANSER: It is a Gel based cleanser with a cooling effect. It cleans up the dirt etc. Also, it’s a foam based cleanser. Use it twice a day for removing impurities and dirt. This provides hydration to the skin as it is gel based. TONER: Comes in a pump bottle. Just dab the toner to balance the PH level, minimize pores and get the cooling effect. This also prepares the skin for scrub etc. EXFOLIATOR: Cleans the dead skin, it’s a gentle gel with rose water and glycerine. Hydrates deeply. Apply it as a pack on the face, thin layer. And keep it for max 5 mins. Then scrub it using finger tips on the problem areas. FACE MASK: The mask renourishes, and act as an oil control. It contains tomato and carrot seeds along with Alovera and vitamin E. It enhances and brightens the skin tone. This product is Cream based. Apply upwards and keep for min 10 Mins. PROTECTOR: Once all this is done, just to maintain the process use nourishment gel with SPF and moisture. This is a transparent product with methi seeds and aloe vera. Apply upwards! Cost: range between Rs 325-375 each; Economical for daily use.